The Abstracts Submission Deadline has now passed. The program will consist of invited speakers, as well as oral and poster presentations selected from abstract submissions. You are invited to submit abstracts on all topics relevant to aquatic ecosystem health and your results and experiences. All abstracts, both oral and poster, will be published in the conference Book of Abstracts. As with oral presentations, posters provide a valuable opportunity for scientific interaction and discussion of issues affecting marine mammal health. Abstracts are due no later than March 16, 2015 and MUST be submitted electronically ONLINE via this website. Detailed instructions are provided below. Please be sure to follow them carefully to ensure your submission is received and recorded. All presenters, both oral and poster, are required to register and pay the applicable fee in order to attend and present at the conference. CLICK HERE for Registration Information. Please Note: All program participants, including speakers, poster presenters, session organizers and moderators, are expected to pay the conference registration fee to attend and participate in the conference. 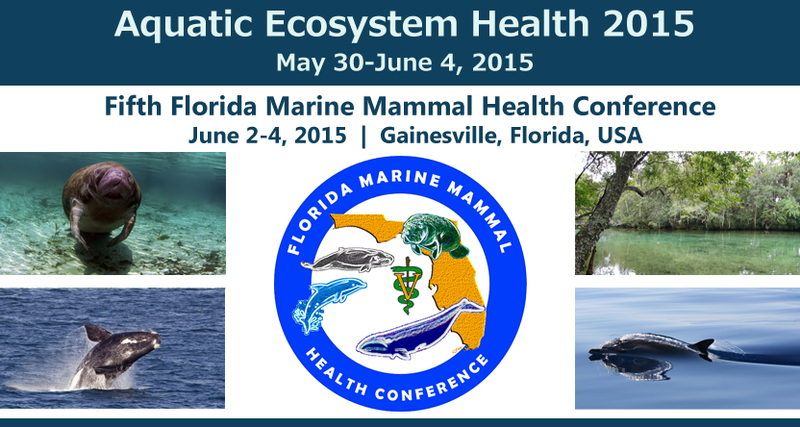 QUESTIONS ABOUT SUBMITTING AN ABSTRACT FOR AQUATIC ECOSYSTEM HEALTH CONFERENCE 2015? Email Patrick Thompson (thompsonp@ufl.edu) or Thomas Waltzek (tbwaltzek@ufl.edu).